Sorry all tickets have sold out! 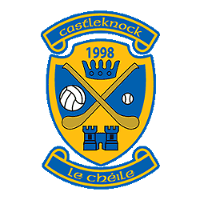 Castleknock Hurling and Football Club 20th Anniversary Dinner Dance takes place on Saturday 13th October 2018 at Westmanstown Conference & Event Centre. Live music on the night is provided by Sway Social. Live music on the night is provided by Sway Social. The incredible sound of Sway Social is four experts singing and playing instruments in the moment, right in front of you, totally live. They are four virtuosos, performing as one, on guitar (Gavin), bass (Ed), keyboards (James) and drums (Ian). Sway Social are ever dedicated to providing the most excellent service. Their performance that comprises those timeless classic songs from the 60s, 70s, 80s & 90s plus the contemporary tracks that are currently featuring in the charts.